With Ban Ki-Moon's Political Terror and Coverup - Political Oppressioin and Violence - In front of President Roh Moo-Hyun's Blue House. with Ban Ki-Moon's - Did we see it? Intelligence agencies of other countries are worse. Want to die? 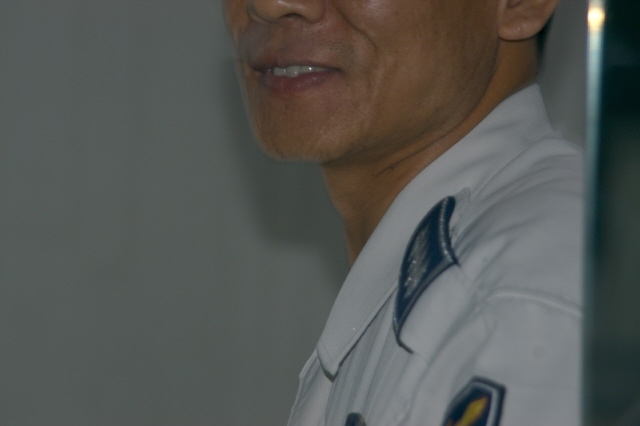 Will Mr. Ban Ki-Moon deliver his violent film to UN Human Rights Council and Interpol? In front of President Roh Moo-hyun’s Blue House. Did we see it? - Intelligence agencies of other countries are worse. - Do you want to die? - Why didn’t you end up dead? Why are you coming back? - You are dead! Jul. 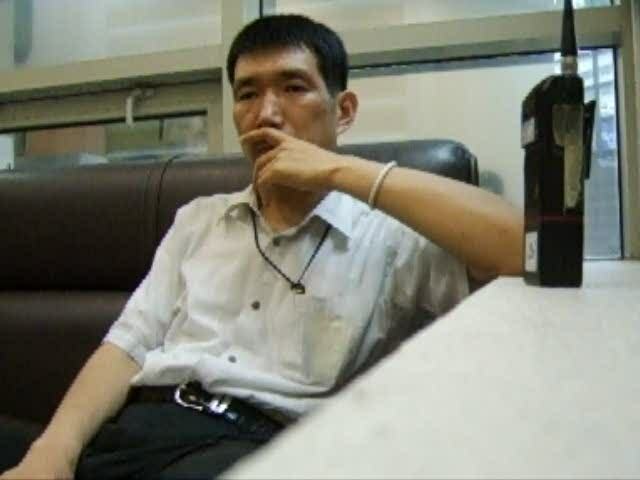 31, 2007 - Chemical substances -often used by thugs working for President Kim De-Jung and UN Secretary General Ban- were delivered in a package that contained a camera (e-bay). Those substances produced highly acute respiratory pains. Jul. 19, 2007 - “You are dead!” 99th. Jun. 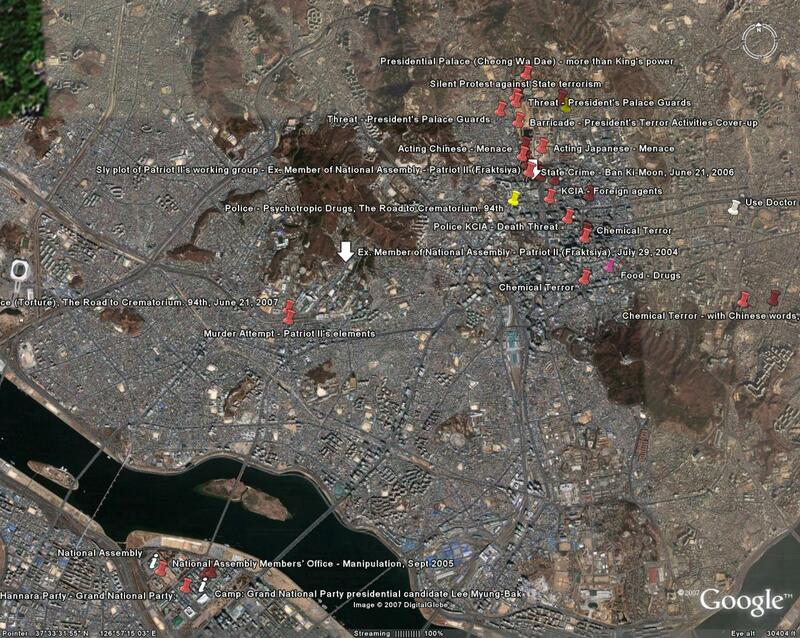 16, 2007 - Menace and Plot using a young woman - in front of Roh Moo-Hyun’s Presidential Palace. Jun. 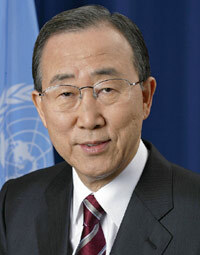 15, 2007 - One year later - Un Secretary General Ban Ki-Moon’s Insult by using one of his thugs at MOFAT. May 03, 2007 - UN Secretary-General Ban Ki-Moon's gangsters among a group of agents using pain inducing chemical substances and harassment tactics. Jan. 26, 2007 - a group of agents using pain inducing chemical substances (pharmacological torture). Nov.15, 2006 - Ban Ki-Moon received the Order of Service Merits, which is given to ministers who carry out their duties in an exemplary way. Jun. 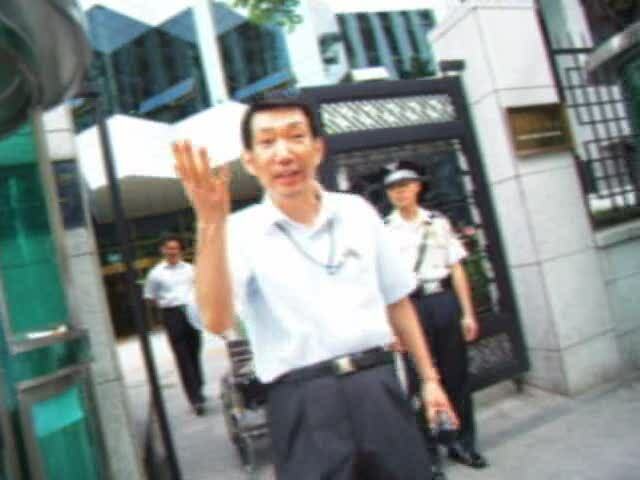 16, 2006 - In order to conceal President Kim Dae-Jung’s political terrorism and crime activity, Ban Ki-Moon confined a citizen, used violence and threats, attempted to intoxicate his victim with psychotropic drugs inside the Ministry of Foreign Affairs and Trade. In front of President Moo-hyun Roh's Blue House. The 34th (2nd part -Afternoon) Attempts of pharmacological torture Mr. Ban Ki-Moon! Are you going to present your violent film to the UN? 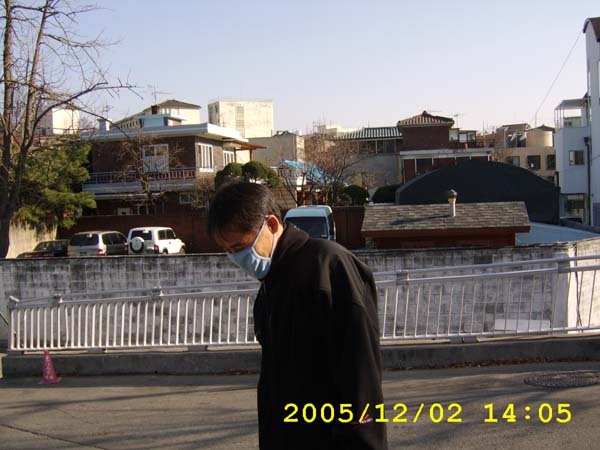 Jan. 15, 2006 - Unidentified chemical substance that President Roh, Moo-hyun uses - after having been to the front of Blue House. 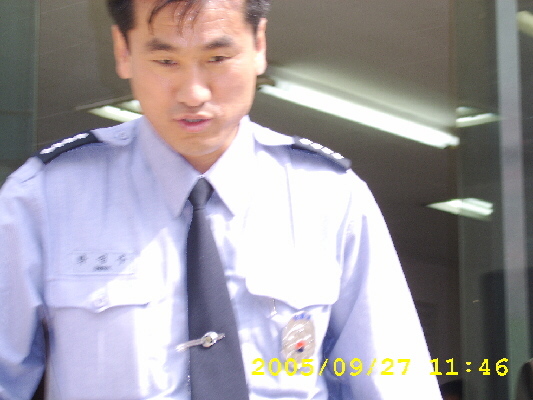 Dec. 02, 2005 - In front of President Moo-hyun Roh’s Blue House (7) - Sly Deception and Silence to conceal the terror and conspiracy of President Dae-Jung Kim. 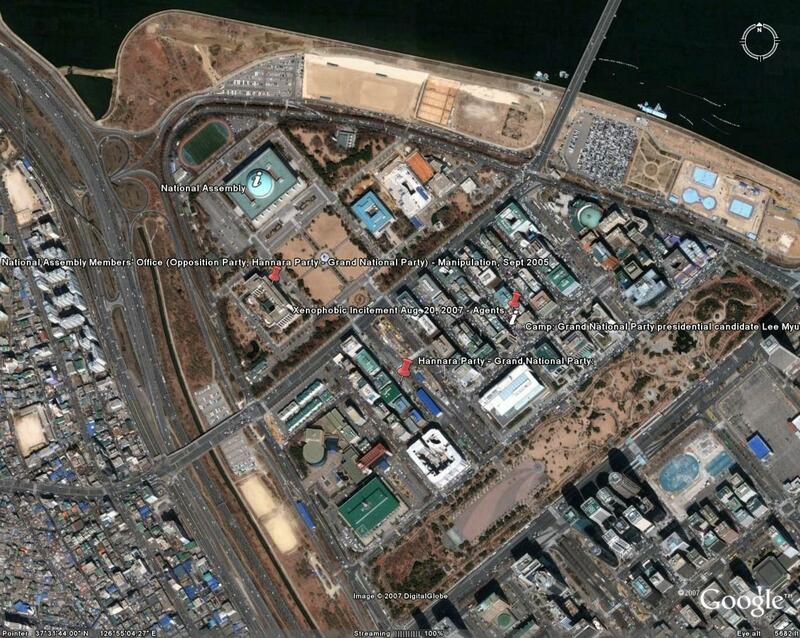 The Blue House of President Roh, Moo-hyun that says, go ahead, do it, putting those people who used force and dirty threats in front of eyes. Is this the clearing up of gangster culture that the President emphasized? 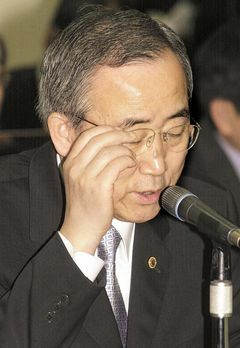 Oct. 01, 2005 - To Attorney General Kim, Jong-Bin of Prosecutor’s Office - The terrorist acts of Ambassador Dae-Hwa Choi will not be erased by threat and violence. 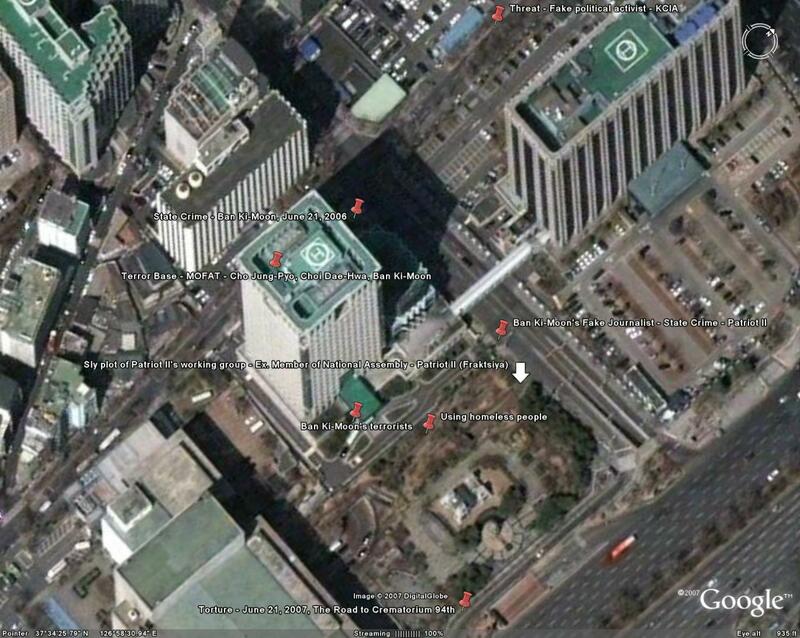 Went to Taepyong-Ro Patrol Division of Seoul Namdaemun Police Station. Again at the site. Sept. 27, 2005 - Went to Taepyong-Ro Patrol Division of Seoul Namdaemun Police Station again - The police threatens, saying “watch out for cars”. 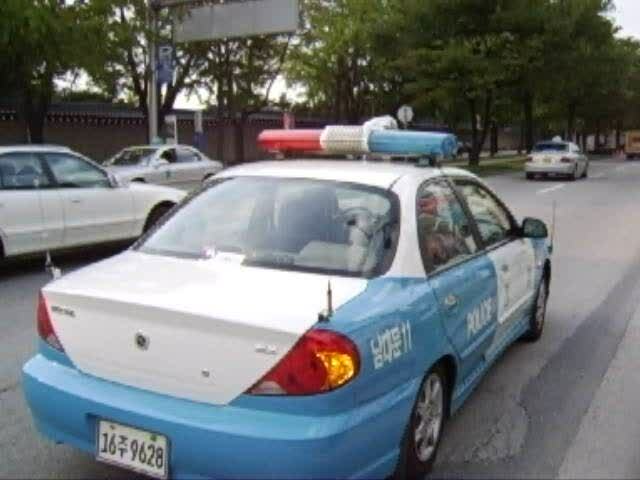 (It was the duty of the police that the police carried out at the site where Captain Pil-Hwan Choi was, who asked for erasing the incident of threat and violence.) 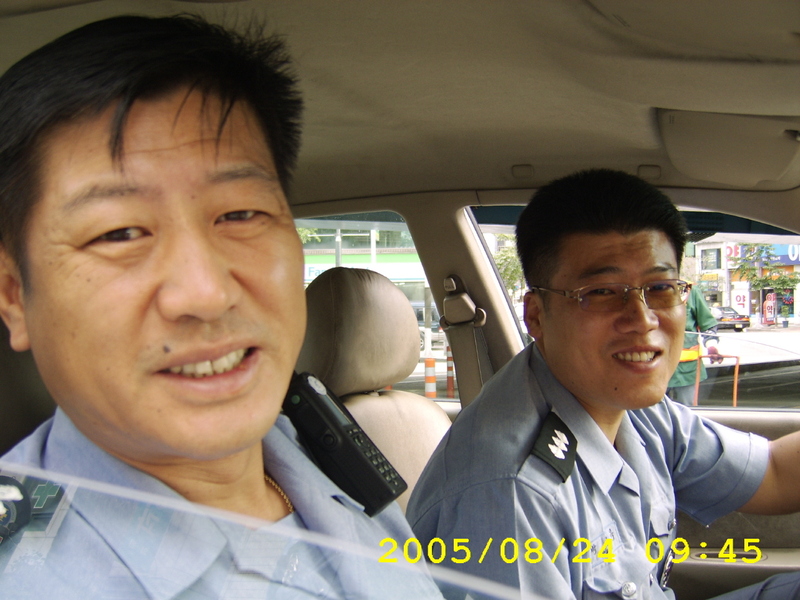 The police who yelled out “Lord” many times in the police patrol division ran out when I took a picture of the front side of police patrol division, and cursed and touched my body violently and forcibly. And he went back faster than when he ran out. When I looked back, many people were crossing the street to the patrol division from Starbucks Coffee Shop. It was lunch time. 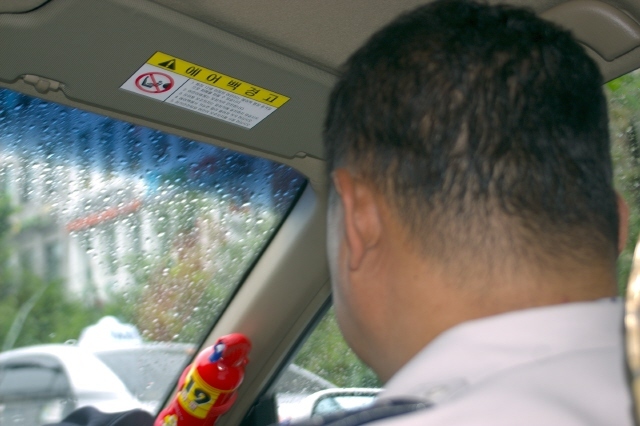 The duty of the police who is afraid of people looking. Aug. 15, 2005 evening - The person who says he applauds for the fire set on a building. Aug. 15 2005 - Is it so amusing that the building was set on fire and that the building would explode? Aug. 14, 2005 12:36 am - After writing on the location where the terrorist couple tried to murder me. 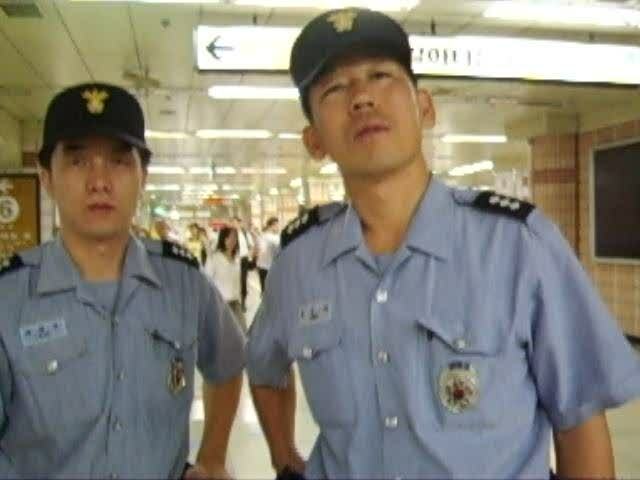 Aug. 05, 2005 - At Chung-Ku subway station. The police that picks a fight cursing again. Aug. 01, 2005 - In front of President Moo-hyun Roh's Blue House. 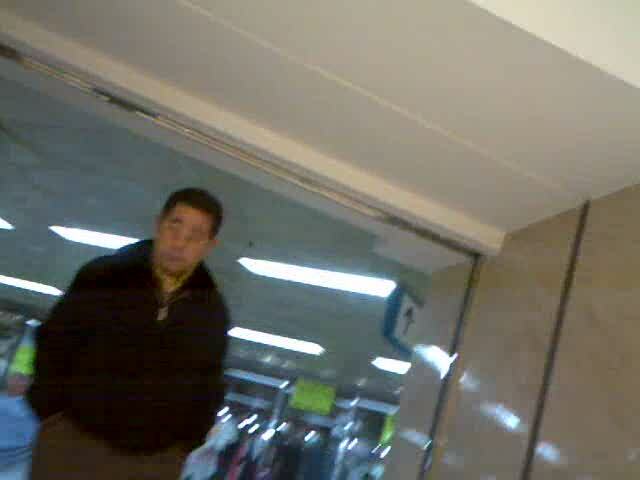 (6) An agent who attempts physical altercation in front of a female police. Jul. 12, 2005 - Do you want to be punished! (Sam Chung Police Box) - gave a ride to the bookstore. Jul. 3, 2005 - In front of President Moo-hyun Roh’s Blue House. 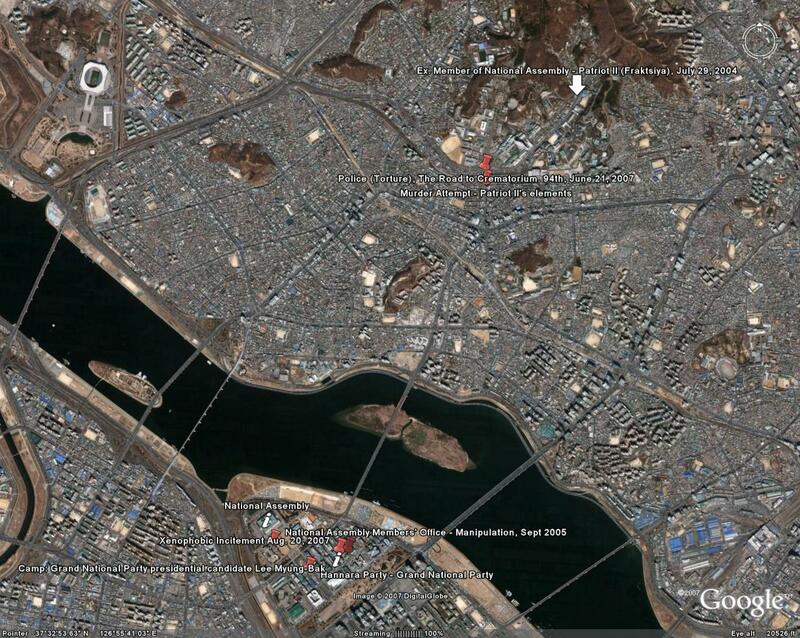 (4) - Did we see it? Intelligence agencies of other countries are worse. Jun. 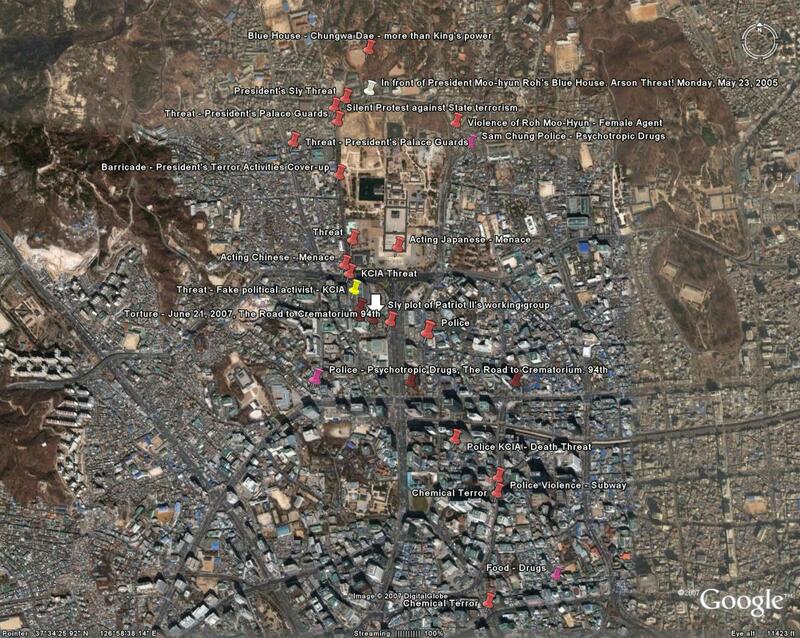 17, 2005 - In front of President Moo-hyun Roh’s Blue House. 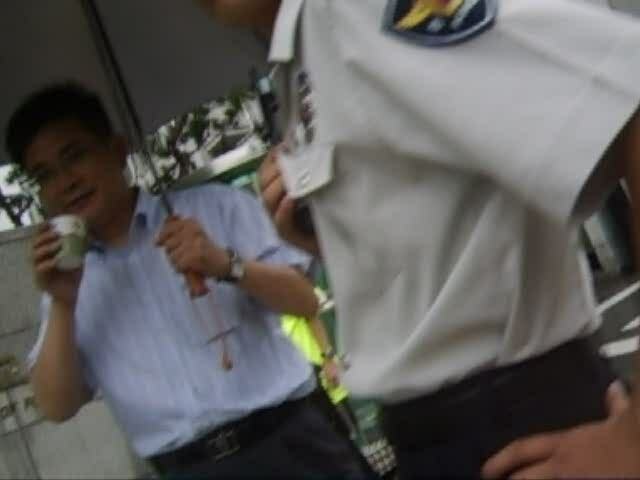 (3) Told me to speak, and when I spoke about terrorist activity, the agent turns his back. Jun. 03, 2005 - In front of President Moo-hyun Roh’s Blue House. (2) Sinmungo installed! Blind eyes and block ears.